B.A.H. & 5th Anniversary Celebration of Simple Finds! Name: B.A.H. & 5th Anniversary Celebration of Simple Finds! 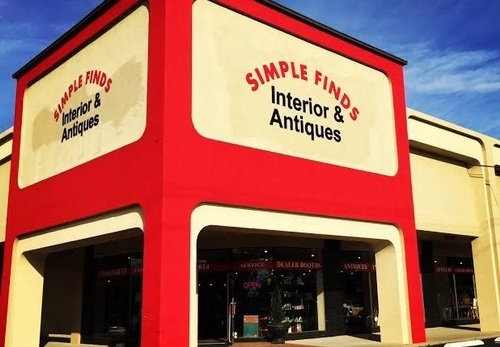 Join us for our November's Business After Hours as we celebrate 5 YEARS of Simple Finds! With over 25,000 square feet of outfitted display for merchandise by different dealers, and it being so close to Phipps Plaza, Lenox Square, Perimeter Mall and technically right next to Old Chamblee, you can bet you'll walk out with a unique piece for your home or office. Simple Find's dealers work hard to make it a unique destination, from the littlest decorative item to helping outfit an entire room. These guys have been making it happen for the past five years without skipping a beat, that's why we want you to join us and help them celebrate their success in Chamblee! Enjoy light refreshments, drinks and great people to network with.